I wish the photo were better, but these were the placecards for our dinner. 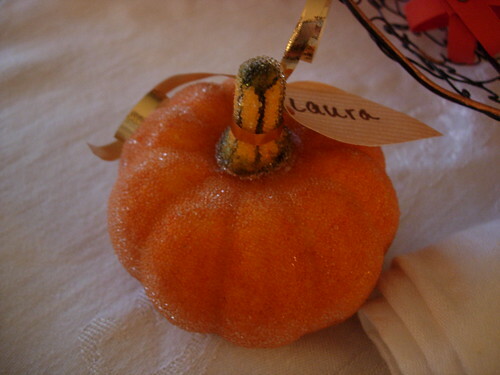 Pumpkins, with small leaves for nametags, and some gold ribbon. Very simple, but pretty on my mom's linens. I tried to sew a table runner, but my sewing machine got goofed up Wednesday night. Next year!